I checked with some friends and apart from some recommendations on where to eat, all seemed to confirm my first thought, that there’s nothing much to do or see in Kota Bharu. As it turned out, my friends and I couldn’t have been more wrong about this. 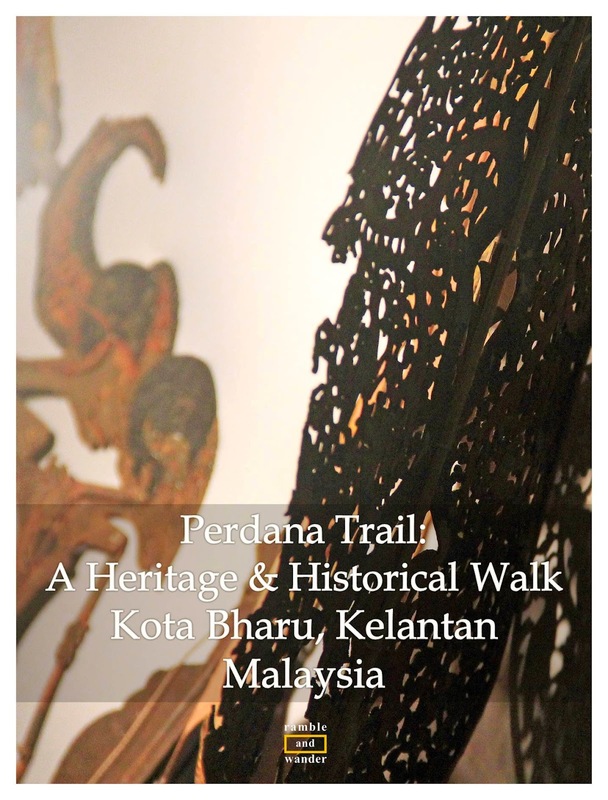 And I, for one, am very glad that Hotel Perdana is taking the initiative to introduce and promote this walking tour called ‘Perdana Trail: A Heritage & Historical Walk’. We started the day (somewhat) early. We left the hotel after breakfast at around 9 a.m. and walked towards the first stop, which is located just around the corner from the hotel, Gelanggang Seni. Gelanggang Seni literally means Arts Arena. This is the centre for cultural activities, the place to go to to experience the rich cultural heritage of Kota Bharu. Here you can watch gasing play (top-spinning), silat (Malay martial arts), wau (kite) making, wayang kulit (shadow play) and a few other activities. Most of these however are done in the afternoon (see photo below) so do plan your trip accordingly. From Gelanggang Seni, we passed by the State Library and Bazaar Tok Guru. Just next to the Bazaar, there is a small “monument” showing the direction of Kiblat, i.e. the direction of Makkah, where Muslims pray towards, which is kind of unique because I’ve never seen anything like it before. Walking along Jalan Sultan Ibrahim, we reached out next stop, which is Tourist Information Centre. This is where you can pick up leaflets and brochures about places to see and things to do, and maybe get your questions answered, if any. Right next to Tourist Information Centre is Balai Seni Lukis Kelantan, or Kelantan’s Art Gallery. We didn’t stop here but you might want to if you’re into arts. Just around the corner from Tourist Information Centre is Muzium Kelantan. The museum has a few sections with exhibits on history, as well as the arts and cultures of the state like shadow play, rebana ubi (a type of local drum), makyong and a few others. When we visited, the museum was having an International Shadow Play Festival, which was quite interesting. From the museum, we simply crossed the road to get to the roundabout which, apart from a clock tower, also has ‘Menara Rehal’, a monument that has a rehal, i.e. a Quran stand or a book rest used to place the Quran whilst one is reciting it. A fountain and a few date palms also form part of the landscape. Date palms are not native to Malaysia. While they can live & grow in the country, they usually don't produce any dates. However, they somehow do here in Kota Bharu, Kelantan starting from 2014. But then again, it might not be surprising considering that Kelantan is also known as "Serambi Mekah" (the Veranda of Makkah). So if you’ve never seen a date palm tree before, this is the place to check it out. From the roundabout, we walked along Jalan Temenggong towards Jalan Tok Hakim. Simple old colonial buildings line up one side of this road letting those who travel the road know that this was one of the first high streets in Kota Bharu. When we got to Jalan Tok Hakim, we turned right and found “Din Tokyo”. What/who is Din Tokyo, you might ask. When I first heard of the name while still in Kuala Lumpur, I thought it might be a camera shop turned museum. Don’t ask me how I got that, ha ha! The fact is Din Tokyo is a very popular coffee shop in Kota Bharu. I asked the proprietor, Pak Din, why Tokyo? It turns out that he’s not the Din in Din Tokyo. At least not the original one. Pak Din is actually the 3rd generation of “Din” in Din Tokyo. The coffee shop name came from his grandfather who was also called Din, while Tokyo came from the name of the hotel that used to be located just down the road from where their coffee shop is. It’s just how it worked in the old days, add the name of a landmark to one’s name, and voila, everybody knows whom you’re referring to. As it was, Pak Din’s father was also called Din and so the name remains until today when it has become sort of an institution, the place to go for breakfast whenever you’re in Kota Bharu. So what’s good for breakfast here? While Pak Din sells plenty of nasi bungkus (rice wrapped in banana leaf and old newspapers) and kuih muih (local cakes/desserts/sweets), the most popular menu perhaps are Telur Taliban (Taliban’s eggs), which are essentially half-boiled eggs, and Teh Halia Telur Puyuh (ginger tea with quail’s eggs). I opted for the latter with some reservation but didn’t have any problem finishing it the moment it was served in front of me; after the obligatory photo-taking, of course. It’s quite a unique but refreshing drink and supposedly good for the health too! I didn’t get around to asking Pak Din about the story behind the name of Telur Taliban. I guess it’s pretty easy to forget about everything else when you’re here. You’d be charmed not just by what you’re having but also by Pak Din himself. Watching him taking orders (without making any notes no less! ), preparing the drinks and food, giving orders to his staff while having a banter with customers and doing the occasional pull-tea acts for some photo sessions, you’d quickly realise that Pak Din, and Din Tokyo in general, are indeed an institution and a tough act to follow. ok. nice.. needs a post on walking tours in Kuala Terengganu too! Nice one bro.. love it.. I find shadow play so interesting! I'm sure the Museum must have been a great pick! Yes, I love the museum and wished I could have stayed there longer! They had 2 whole floors dedicated just for shadow play figures and accessories. Looks fascinating. every time I visit your blog I get more of an urge to go back to Malaysia! Very interesting. I love the clock tower. Looks like a rocket ready to launch...kinda. Now that you mentioned it, it does look like one! 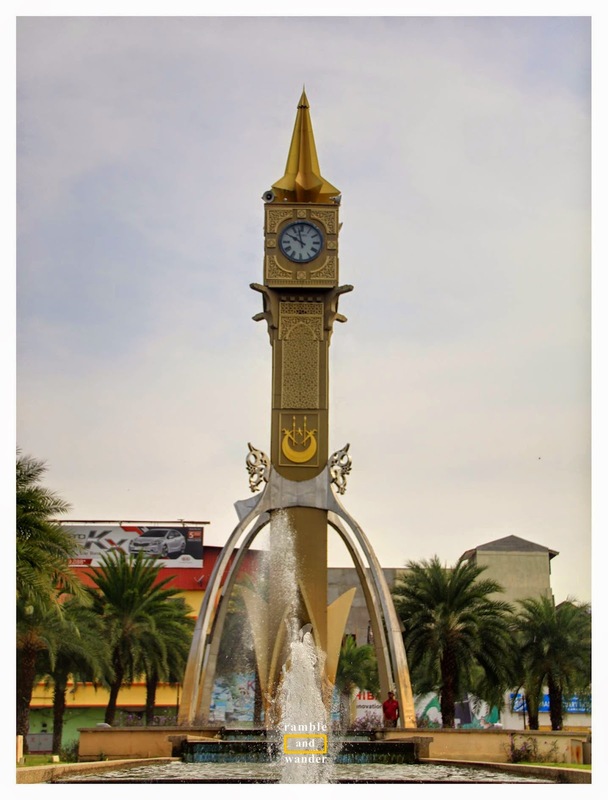 :) I wonder if the staff at the nearby Tourism Centre knows the background details on the design of the clock tower. THanks for introducing me to a part of the world Iwasn't familiar with, great post! 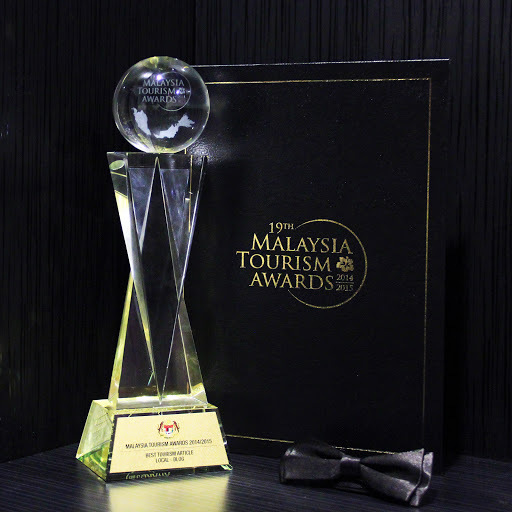 Your blog really inspires me to visit Malaysia again! Terima kasih, Mek Onie. Gambar2 tu lawa ke? Abe raso mace nok delete jah setengoh2 tu, banyok hok dok jadih, wat sakit hati jah, haha! It's so great when you are pleasantly surprised and find unexpected things in a new city! You managed to finish the ginger tea with quail eggs? I took a sip, but the original ginger tea tasted so good, so I ended up finishing that one.